What’s cuter than a little, chubby-cheeked baby? 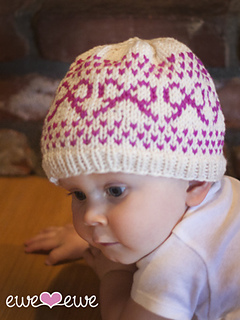 A little chubby-cheeked baby in a totally cute hat! 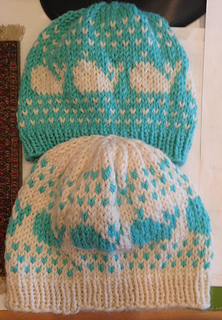 The Preppy Hats knitting pattern features two Fair Isle patterns using two colors of Wooly Worsted merino yarn. The Bow-dacious bows are perfect for the little girl in your life, and just look at that spouting whale, adorable! Both charts come on this pattern. 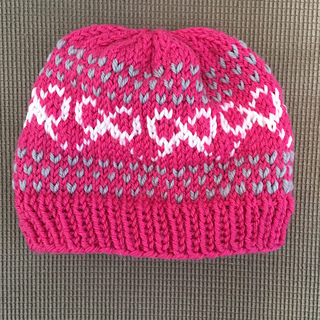 Gauge: 20 sts to 4” in stockinette stitch.